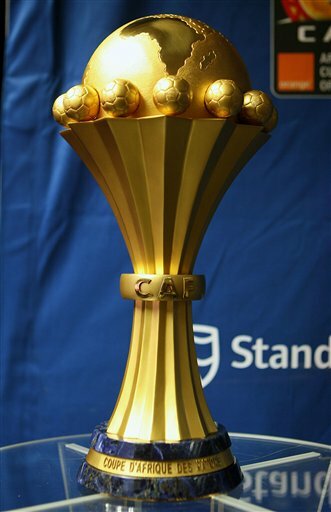 Ladies and gentlemen, the moment we’ve all been waiting for; the game played with ubiquitous percussion and constant rhythm from the stands, the final of the Cup of Nations 2012 and the biggest game in African football. There’s no doubt in my mind that we have the two best sides at the tournament in terms of the standard of performances and quality. Zambia enchanted during the group stages, being at the forefront of the revival of the attacking flair that we associated with African football south of the Sahara in the yesteryear, Rainford Kalaba and Christopher Katongo the poster boys of the revival. Ivory Coast, meanwhile, have been playing the sort of football that is typically branded the “Hallmark of Champions” - productively efficient, conservative football (or ‘boring’ football, if you believe the decriers) and have conceded no goals so far in the tournament. Yet in their semi-final victory over Mali we saw glimpses that when the quartet of Didier Drogba, Salomon Kalou, Yaya Toure and Gevinho are on their game, they can be a very aesthetically pleasing side indeed. Pre-tournament, the focus on Zambia was whether they could use the 1993 Zambia national team air disaster, which occurred 500 metres offshore from near Gabonese capital Libreville and killed 25 players and officials on board, as motivation to reach the semi-final or final in Libreville. With the European pedigree of the sides they would have had to possibly face to reach the final – Senegal, Ghana and Ivory Coast – few tipped them to make it to the final or even semi-final. Yet they’ve made it to the final with a mixture of flair, versatility and tenacity which have had coach Herve Renard claim it was “written” – and few would disagree with him. Incredibly, the Chipolopolo’s solitary appearance in a final came just a year after the air disaster when they reached the 1994 Cup of Nations final. However, they were unable to cope with the Nigeria of Rashidi Yekini, Jay-Jay Okocha and Sunday Oliseh who won 2-1. Ivory Coast were the pre-tournament favourites with their star-studded squad all based in Europe and keen to detach themselves from the ‘bottlers’ tag. Qualification for the tournament had been impressive as they boasted a 100% winning record, scoring 19 goals (more than any other team that qualified) and only conceding 4. Ivory Coast’s single Cup of Nations title came in 1992 – the last time they were managed by a native, Yeo Martial. Incumbent coach Francois Zahoui is the first native to manage the Ivory Coast since Martial and has been firm in his belief that “a team with a good defence can go far in the Nations Cup.” The Elephants have been to a final in recent editions – when they lost to the then hosts Egypt on penalties in 2006 and anything less than a victory this time around, with the number of ‘big’ nations absent, would be considered a failure, especially with chances fastly running out for the so-called ‘Golden Generation’. Despite beating the likes of Senegal and Ghana, Zambia have not been dominant in possession, though some will argue that won’t be a concern for coach Renard as they went on to record wins in both of those games. Zambia have suffered for large periods against Ghana and Sudan because their central players aren’t specialised to play in those positions – Nathan Sinkala, who plays as a defender at club level, is usually partnered by Isaac Chansa, a forward-thinking central midfielder who has also been used on the wing, or the more sturdy Francis Kasonde, who can play as a holding midfielder or right-back. Unsurprisingly, then, against the technical sides with specialised central and defensive midfielders they’ve struggled to take control of the games. The dilemma for Renard is to choose who to partner Sinkala in the midfield, Kasonde contributed little in terms of breaking attacks and was nervy in possession against Ghana, while Chansa gave them more impetus, providing an assist for Mayuka’s goal when he was moved from the wing to the centre, but with the power of Ivory Coast’s midfield three it may not be a clever decision to start him. Whatever combination Renard decides to pick in midfield, captain Christopher Katongo will have to drop deeper from his second-striker role in order to help the midfield. The importance of Yaya Toure for the Ivory Coast can’t be underestimated. The Manchester City midfielder, who plays as an attacking midfielder for the Ivory Coast, has been dropping too deep so he can influence the games for much of the tournament and the majority of his performances have been extraordinary ordinary as a result. This has left Ivory Coast with no adequate link from midfield to attack, as Cheick Tiote and Didier Zokora, the double pivot in midfield, are both defensively-minded players. Against Mali, Toure played further up the pitch and for the first time in the tournament Ivory Coast looked like a truly coherent side. Worryingly, though, Toure’s tendency to visibly tire towards the end of the matches, a weakness in his game that has also been apparent at Man City, is something that could play into Zambia’s hands. For the last half hour against Mali, Toure fell at the faintest of nudges, his passing became erratic and he was hauled off by Zahoui before he caused any damage to their slender lead. With their 4-4-2 system, akin to a 4-2-2-2 with its thrusting wingers, Zambia’s best avenues of attack come down the flanks, especially Ivory Coast’s right-flank. Dazzling left-winger Rainford Kalaba is undoubtedly the player of the tournament, his spatial awareness and instant control exemplary even in the tightest of situations. Due to fitness concerns over Emmanuel Eboue, the Elephants have been playing the combative Jean-Jacques Gosso, who’s usually a defensive midfielder, as a makeshift right-back. In the second half of the second group stage against Burkina Faso, Gosso was targeted and Burkina Faso left-winger Jonathan Pitroipa had a considerable amount of joy down that flank, creating clear chances that his team-mates failed to convert. Gosso hasn’t been seriously tested since that game with Equatorial Guinea not having the firepower whilst Mali not possessing genuine width. All in all, it should be a fascinating encounter between two sides that fully deserve to be in the final whichever way you look at it. The key, of course, is whether Ivory Coast can turn their dominance into goals. As Zambia showed against Ghana, despite not dominating, Kalaba has the vision and doggedness to create chances and in the form of Emmanuel Mayuka they have someone who only needs to be presented with one chance.